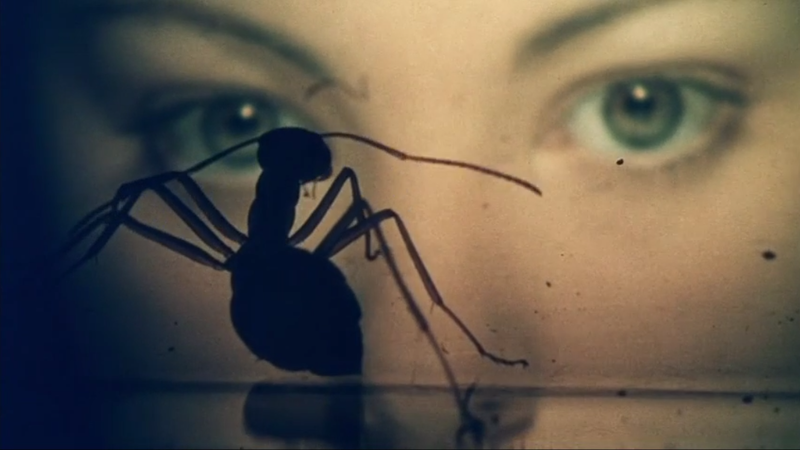 In “Un Chien Andalou,” the 1929 surrealist short film by Luis Bunuel and Salvador Dali, there is a shot of ants crawling out of a hole in the palm of someone’s hand. Having watched, as a child, ants working on small dead animals, Dali used ants in his work to symbolise decay, the ephemeral, and decadence. 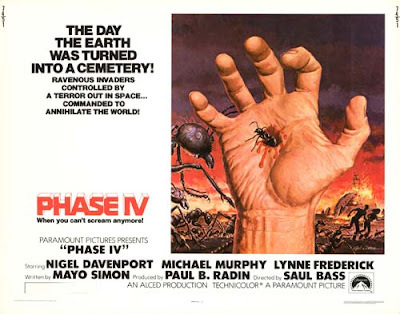 In “Phase IV,” a 1974 feature film by Saul Bass, a cosmic event causes a colony of ants to undergo rapid evolution, creating hive minds, and colonising the world. 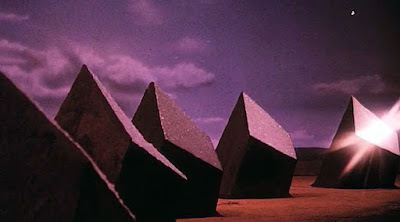 Dali did not write the script, but he might as well have. Saul Bass only directed one feature film in his career, mainly because “Phase IV” disappointed at the box office, but he is best known for designing title sequences and posters for many films, most notably for Alfred Hitchcock’s “Vertigo,” “North by Northwest” and “Psycho,” while also storyboarding the shower scene for “Psycho.” By the time “Phase IV” came around, he had also begun designing logos for company logos for Minolta, Warner Bros, Kleenex, United Airlines, AT&T, Exxon and so on. 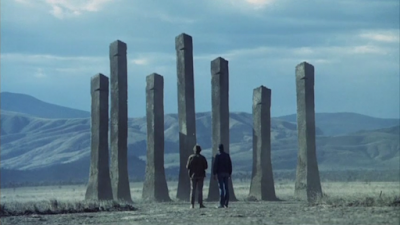 By “Phase IV,” Hollywood had already produced science fiction films that were paranoid about the fate of humanity, including “Planet of the Apes,” “Soylent Green,” and “The Omega Man,” but this film deploys imagery similar to, and not seen since, “2001: A Space Odyssey,” from the monolith-like ant hills, to Ken Middleham’s micro-photography of ant farms, working the movements of the now sentient ants into a narrative, all mixed to ether with more psychedelic imagery, overlaying various shots.